Today I am very excited to be hosting a competition with Argos! 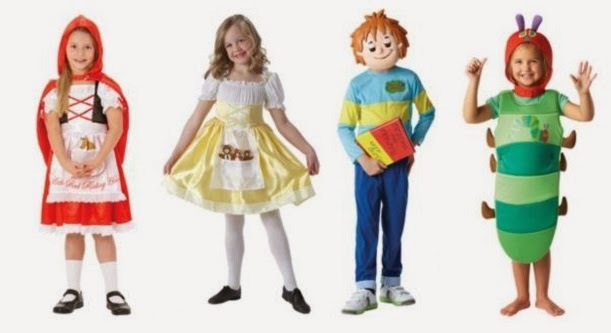 I am giving away 4 fancy dress costumes to celebrate World Book Day, which is happening on 6th March 2014. World Book Day is a celebration of authors, illustrators, books and most importantly, reading! Click here to see what Argos are doing for World Book Day. The lucky winner will win all 4 fancy dress costumes for their child to enjoy. I know Alice loves dressing up and running around the house pretending to be a princess, or a pirate… The competition will run from today, for one week. You can see the full terms and conditions at the bottom of this post! The prize is a selection of fancy dress, includes postage to the winners UK address. Promotion runs from Wednesday 26th February and all entries must be received by 11.59pm on Wednesday 5th March 2014 latest.